Following her acclaimed Honor Girl, Maggie Thrash revisits a period of teenage depression in a graphic memoir that is at once thoughtful, honest and marked by hope. A year and a half after the summer that changed her life, Maggie Thrash wishes she could change it all back. She’s trapped in a dark depression and flunking eleventh grade, befuddling her patrician mother while going unnoticed by her father, a workaholic federal judge. The only thing Maggie cares about is her cat, Tommi… who then disappears somewhere in the walls of her cavernous house. So her search begins - but Maggie’s not even really sure what she’s lost, and she has no idea what she’ll find. 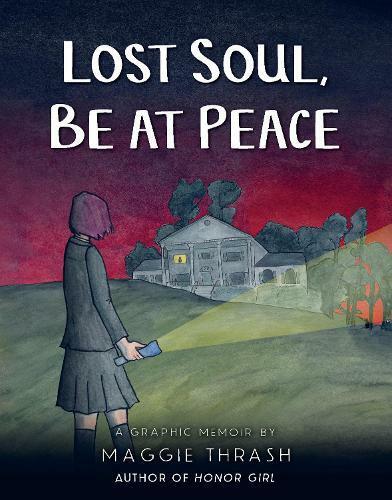 Lost Soul, Be at Peace is the continuation of Maggie’s story from her critically acclaimed memoir Honor Girl, one that brings her devastating honesty and humour to the before and after of depression.